Tibet Telegraph: Are Tibetans who voted in LS polls Indian citizens? Are Tibetans who voted in LS polls Indian citizens? general election for the first time in his life. Brushing shoulders with the local Gaddis, Ranas and Chaudhrys he emerged from the booth triumphantly showing me his Tibetan index finger with an ink mark. Suddenly he seemed to have been washed of all his sins; the identity crisis of being born in India, but to a Tibetan refugee family, which made him a foreigner by birth. Tashi had made history for Tibetans in India. How did he become a citizen overnight?Since the Election Commission (EC) made the announcement on February 7 that Tibetans in India could vote, debates have been raging in Tibetan community meetings and on social media sites. While the pragmatists argued for the benefits of citizenship until we return to Tibet, idealists like me vehemently opposed it, reasoning that it would undermine Tibetan nationality, and our legal, historical and basic moral claims over Tibet. The debate started with a young girl, Namgyal Dolkar. She took the Delhi passport office to the high court for not issuing her a passport, quoting the Section 3 (1) (a) of the Citizenship Act 1955 — ‘anyone born in India between January 26, 1950 to July 1, 1987 are natural citizens of India’. After battling for a passport for five years she won the case on December 22, 2010, thereby establishing a precedent. At the height of the Beijing 2008 Olympics, the Himachal police arrested and charged me as a foreigner for being absent from Dharamshala for over 14 days without registering my departure. They jailed me for 11 days, confiscated my ID card and charged me under Section 14 (c) of the Foreigners Registration Act, 1946. By applying this regulation — applicable to foreign tourists — to Tibetans born in India, like me, it renders every second Tibetan a potential criminal. It took two years and 22 trips to the Mandi district court before I was found innocent and acquitted. Tibetans feared that if they voted in this election their Registration Card (RC) would be revoked. This annually renewable document, which establishes Tibetan identity, has been procedurally issued by India, for individual applications, making a Tibetan a foreigner. But the Dharamshala collector did not demand RCs; he checked the certificates showing they were born before July 1, 1987. On April 7, 217 Tibetans out of the 14,000 living in Dharamshala trailed to the polling booths, hiding their faces in apparent guilt at surrendering their Tibetan identity. Tashi went in a foreigner and came out a citizen, his RC still safe in his chest pocket. The foreigner became a citizen. The stateless found a country. So what is the legal status of Tibetans here? Are the voters citizens now? Will the voters lose their RCs? Can we avail of government jobs? Own a house after 55 years of exile? Will the 7,000 ‘Special Frontier Force’ Tibetans in the army, heroes of the Bangladesh and Kargil wars, now have equal promotions and pensions as Indians? Since the EC’s announcement has been challenged by the home ministry, Tibetans are dazed at the ‘hum aapke hain kaun’ moment? Since India is not a signatory to the 1951 international refugee law, the 100,000 Tibetans living here are technically foreigners though sentimentally we call ourselves refugees. Never in 55 years has India pressured or coerced Tibetans to integrate. The visionary work of the Dalai Lama, supported by India, helped Tibetans preserve their identity by nurturing a deep sense of culture, history and heritage in the young. For this, Tibetans remain ever grateful to India. It is magnanimous on the part of India to now offer citizenship to Tibetans. Whether anyone takes this constitutional right and to be or not to be an Indian citizen is an individual choice. 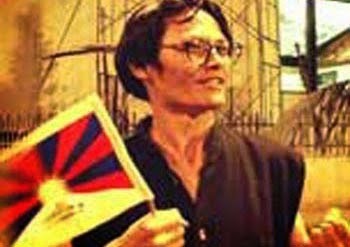 NOTE: Tenzin Tsundue is Tibetan writer and activist. The above article is reprinted from the leading Indian news paper The Hindustan Times.